Founded in Southern California, Celerity Technologies will continue to advance the art of fiber optics for the best high definition connection for your home or business. Aminiature plug is attached to each end of the Celerity fiber optic cable, guaranteeing a perfect connection between the fiber optics and the Detachable HDMI connector. The miniature plug protects the fiber optics and internal electronics and allows for a simple and secure connection. The Detachable HDMI connector makes pre-wiring of the fiber optic cable as easy as plug and play. Celerity is the worldʼs first fiber optic HDMI cable to support Audio Return Channel (ARC). ARC offers the benefit of requiring no additional cables to send sound from a TV to the home AV system for playback through the speakers in the room. For rooms with in-wall, in-ceiling or bookshelf speakers, ARC improves the audio experience tremendously without the need for additional cables or other accessories. 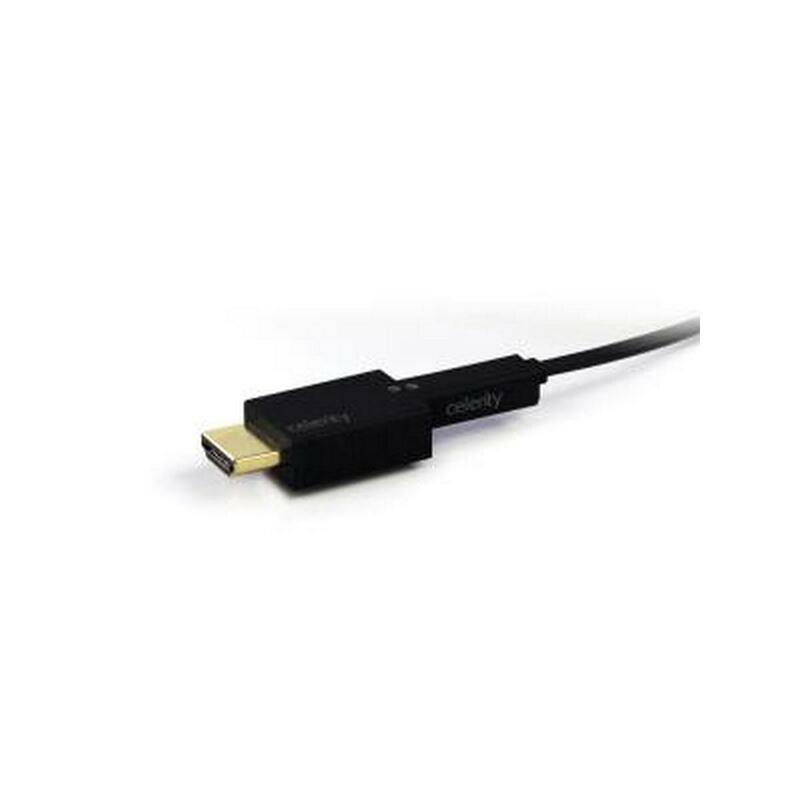 Celerity Fiber Optic HDMI is easy to use and requires no external power adapters or extenders. 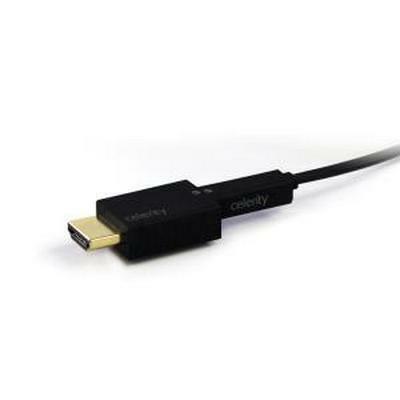 Available in multiple fiber optic cable lengths, Celerity is designed for single and multiple room HDMI connections where distance between the source and display is extended. Celerity supports distances up to 1000 feet without loss of signal integrity and HDMI specification. For shorter, more common distances, Celerity is also ideal as there is no loss of high resolution picture quality. Color, contrast and brightness characteristics are fully realized with Celerity Fiber Optic HDMI. Celerity Fiber Optic HDMI will be available in finished lengths up to 1000' and custom special-order 50' increments between 200' and 1000'.